To all the fans of the most mysterious character in the World Wrestling Entertainment (WWE); here is something that you must know, The Undertaker is now on Instagram. As per reports, Michelle McCool-Calaway on May 31 started to follow a verified account for the Undertaker and the bio reads “Official Page of The Deadman”. Yes, you read that right! After years of avoiding it; our very own; The Undertaker has an official Instagram account. Throughout his career, the WWE's most frightening person has always been in character keeping his day-to-day affairs private, for most part. But as he finally made a debut on social media through Instagram, we can finally have a gateway to the world of The Deadman! On May 30, The Undertaker shared his first post on his official account, but socialites are in doubt if he is handling his account on his own. The 53-year-old still do not have an official Twitter account and his Facebook profile is run by someone within the WWE. Well we really hope it is Mark William Calaway, posting a selfie on his Instagram handle all the way from Texas, United States. Here is the first post of The Undertaker! The Undertaker’s Insta profile at present is following University of Texas Longhorns Football Team and his wife Michelle McCool-Calaway. 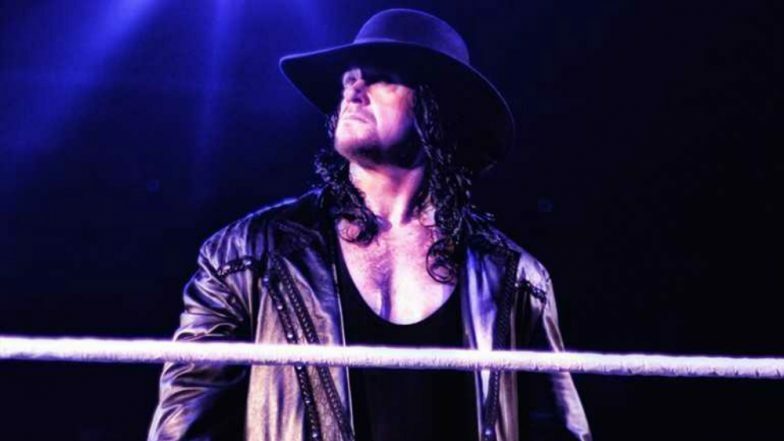 In the past, The Deadman would frequently be seen appearing in his wife’s Instagram feed as a dad and husband. For a long time now, the Undertaker has emerged over the WWE landscape like a threatening shadow, spelling out doom for those who dare to cross him. And it will be great to see Taker managing to click the best angle to snap a pic so he his Insta followers can stay updated with his whereabouts. Waiting eagerly for his next Instagram post!